Living in another country is very different from visiting. We may have an option to visit an international location before moving there; but this introduction may or may not always prepare us for living day in and day out in a totally different environment. The things that we took for granted back home; the things we did out of habit and assumed that they were the same everywhere are suddenly so different. We feel like a fish out of water and find the simplest of things frustrating and overwhelming. We may look for advice from other expats or locals. Some of us have the opportunity of attending cross-cultural training before going or reading a few books to prepare ourselves. One such book that addresses some of these practical tips for daily life is Living and Working in India by Kris Rao and Ian Beadham. • How does immigration and identity work in India? What do I need to do to register myself? Are there any formalities to follow before leaving India? • Who is allowed to rent apartments and what is the process of renting? • What types of food are available at restaurants and with street vendors? • How does public transportation work in India? What safety issues/measures must I keep in mind? • What are the services found in an Indian post office? • How to dial a phone and emergency phone numbers? • How do students, unmarried, or married people in India socialize and have fun with friends? • How is Indian English unique? What phrases or words must we be aware of? • What kinds of things do I need to set up my living space in India? Where can I buy the items that I need? As a foreign woman married into an Indian family, living in a second tier city in India, I found the information on safety, especially safety for women, lacking. Though there are safety tips sprinkled throughout the book, it seems to ignore the fact that women have to take additional measures to stay safe. Since India varies widely, and a majority of expats may tend to gravitate to particular areas that may not be as traditional or conservative, the book does not address safety tips for female expats who may live in more traditional and conservative areas. This is a topic that authors should seriously research through talking to female expats, NRI women, and also to local women in various areas of India. This will help them learn of the precautions that women in India take as many of these precautions may not be taken by foreign women or NRIs living abroad. 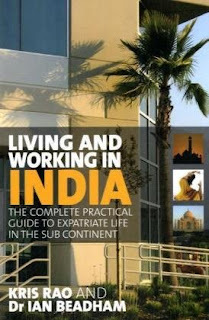 Overall, I recommend this book for any foreigner or NRI moving to India as an expat worker, student, or trailing spouse. The positive and practical tips definitely outweigh any shortcomings of the book. Thank you to the authors for allowing me to read and review this book on Authentic Journeys. This review was written by Jennifer Kumar and edited by Chris Sufi. It first appeared in the Toronto, Canada based newspaper, Asian Connections in April 2012. Read other book reviews on for expats and cross-cultural topics by clicking here.